Steel Windows and Doors distributes Solar Innovations Skylight Windows in various styles to meet both residential and commercial needs. All skylights are custom made to accommodate styles ranging from classic to contemporary. Based in Pine Grove, PA, the corporate office and manufacturing facility reside in a state-of-the-art 300,000 sq. ft. facility. With nearly 20 years of experience, today Solar Innovations is an industry leader in architectural glazing systems that provide beauty and high performance. 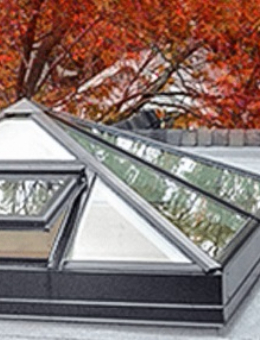 Custom skylights are offered in various styles and configurations based on design and site needs: Choose custom built, fixed, operable, walkable, sloped, pyramid, dome, double pitched, or venting skylight units. 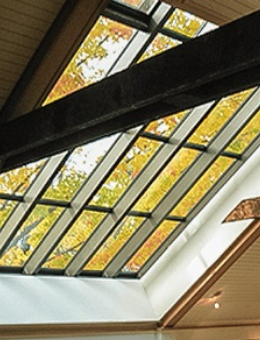 Fixed skylights are available in many sizes, designs, configurations, and glass options. Fixed skylights are suitable for residential and commercial applications, in styles ranging from traditional to contemporary. 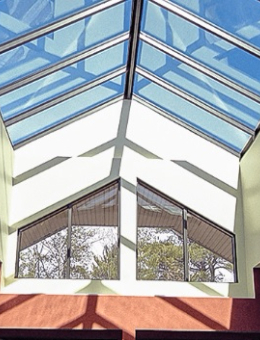 Operable skylights offer ventilation along with increased natural light. 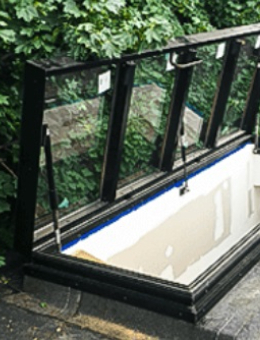 Custom skylights that open and close are made based on design requirements and project needs. 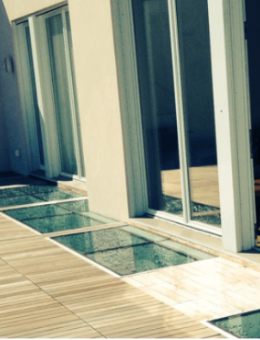 Venting, retractable, and 90 degree operable units are available. Walkable skylights provide natural light with a surface that can be walked on. 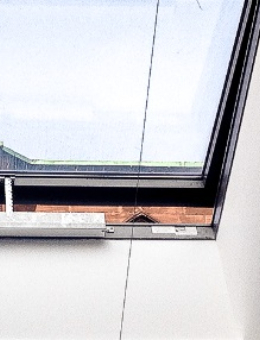 Use walkable skylights on the exterior or interior, but it is recommended to use in a covered area, for example a floor below an existing skylight to bring light deeper into the building. Sloped skylights are simple yet make a statement by increasing natural light and the appearance of space. Custom made sloped skylights are made based on roof pitch and project size. Pyramid skylights can be customized to accommodate different pitches, and all the units are custom made with dimensions based on project needs. The convenient shape allows for snow to easily run off. 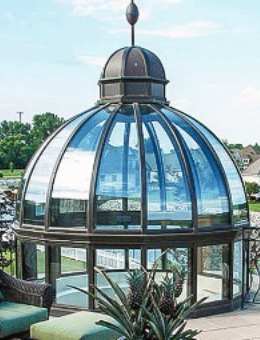 Dome skylights are custom made with various sizes available, creating a dramatic statement piece. 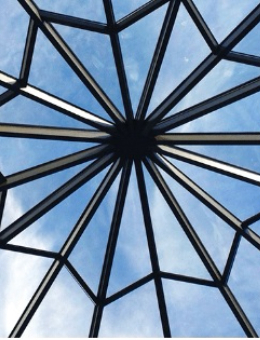 Increased natural light with a touch of elegance is accomplished with custom dome skylights. 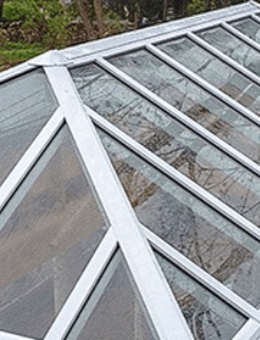 Double pitch skylights have two sloped sides meeting at a ridge, and two gable ends. Custom made double pitch skylights can be transformed into more traditional units with finials and ridge cresting. Retractable and venting skylights allow air to flow in and out of the building based on temperature needs. They allow maximum views, air circulation, and comfort in the home or office. Screens are often added to block insects. All the skylights offered through Steel Windows and Doors USA are completely custom made based on design needs and project size. Increase natural light and create a beautiful visual piece in your residential or commercial building. Contact us for your next project featuring a skylight.